News: Participating In KCON Panel! 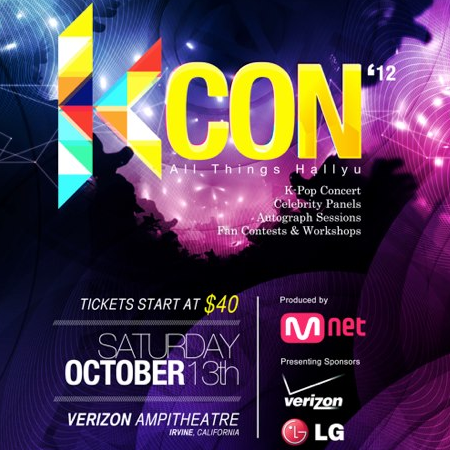 Exciting news to report as I will be taking part of my first convention by being a part of a panel at KCON 2012, the very first Korean entertainment convention coming to Southern California. Produced by Mnet (Asian entertainment channel), the convention is the first of its kind including panels, workshops, food trucks, costume contests, autograph sessions, and a big K-pop concert at the end of it all. I will be participating in the “Rise of Foreign Influence in Kpop” panel along with the “first American K-pop artist” Chad Future (a.k.a. David Lehre), Simon and Martina Stawski of EatYourKimchi and other top names in the industry. I’m very excited and honored to be a part of this history-making convention. Please reach out if you will be there too!